Ex-Talbot House student, Dan West helps Great Britain’s U21s Men secure their second Sultan of Johor cup title. It has been a busy few months for Old Worksopian, Dan West, after leaving Worksop College last summer. As well as securing his place at Loughborough University, Dan was selected for the GB Under 21 six nations tournament. 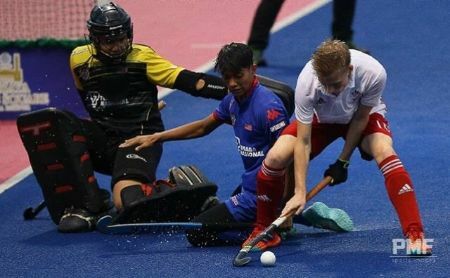 Dan and the Great Britain team played against Malaysia last week, beating Malaysia 5-1, with Dan scoring one of the goals. After winning the match, Great Britain played India, which they needed to win to get into the final and they won 3-2. The final took place last weekend, with Great Britain winning 3-2 and Dan scoring one of the winning goals. Dan was selected for the tournament following three weeks of assessment camps in September.